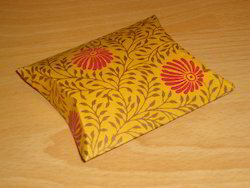 Our Pillow Boxes are available in a large range of Traditional Indian Prints We manufacture a large range of Pillow Boxes. 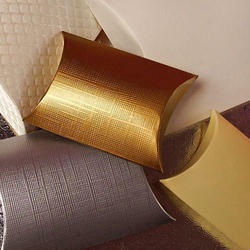 Our Pillow Boxes are available in a large assortment of sizes. We can also Custom Print your designs on our Pillow Boxes, . Cute Little Pillow boxes fully customised alongwith note mentioned. These boxes can be used for baby announcements or birthday return gifts. A Box with only two sides & an inflated middle, making it look like a Pillow.